Happy Halloween from Virginia Classic Mustang! 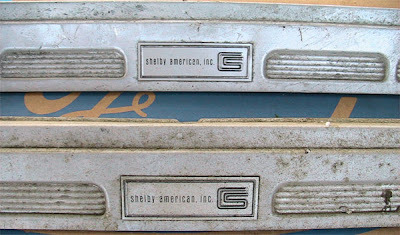 1971-73 Mustang Grande and Deluxe Interior Seat Button Set. We now have1971-73 Mustang Grande and Deluxe Interior Seat Buttons. These deluxe buttons are made from pressure die-cast zinc and steel then beautifully chrome plated and brushed to an exquisite finish. 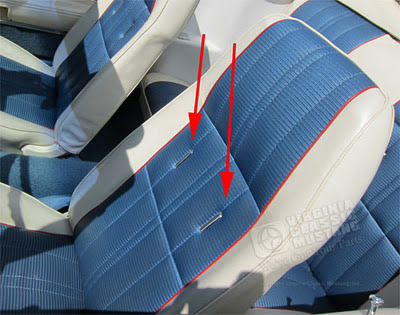 Because Ford's original design does not allow for the original buttons to be re-used, these are a must have for all restorations on 1971-73 deluxe interior Mustangs. Each set includes a pair of buttons and original-style retaining plates to properly recess buttons into your seat's upholstery. The back plates are zinc plated to prevent rusting. 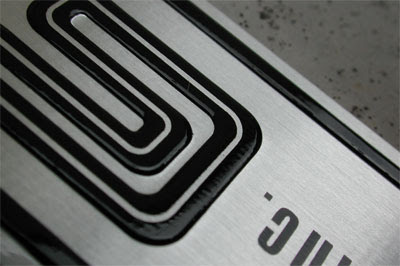 Mach 1 buttons will be available early 2012. We are always hearing about the effects of ethanol in fuel that we put in our classic Mustang's tanks. I personally try to stay away from it by going to the handful of stations around here that carry ethanol free fuel. Anyway, here is a interesting video that someone recently email to me. Check it out, and see what you think. Our 2012 Virginia Classic Mustang Print Catalogs are here. These are just a few of the pallets of catalogs. 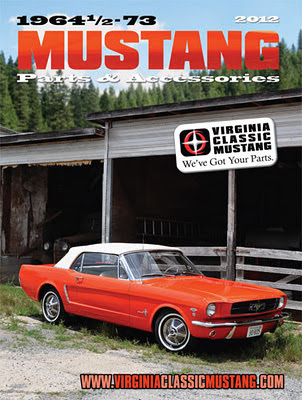 Our print edition of the new Virginia Classic Mustang Catalog is here!! If you have placed an order in the last few days, you have a copy. If you are on our mailing list, you will be receiving one in the mail within the next several weeks. You will be on this list if you have requested a catalog recently or have purchased something in the last few years. 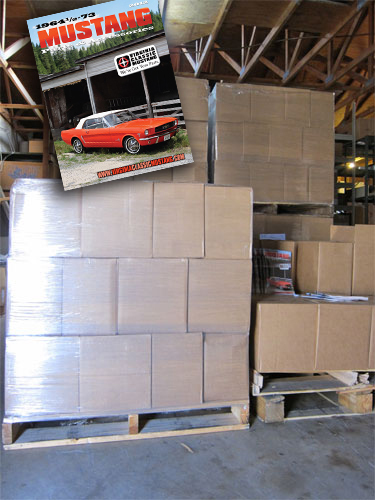 Above is a picture showing pallets of catalogs that have been shipped to our shop...there's more pallets behind those. The mailed copies will be sent from the printer. 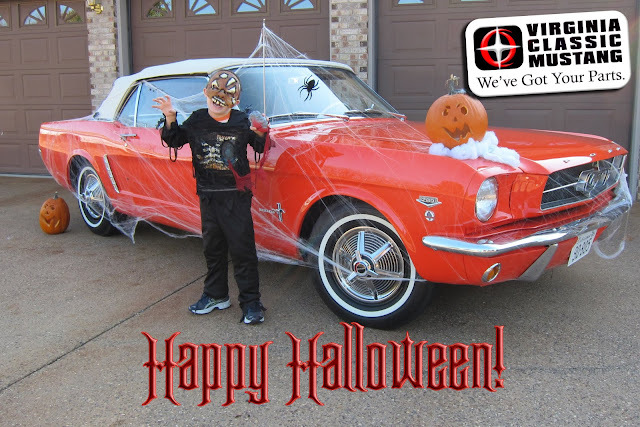 If you can't wait to get your copy, you can check out our always up to date online catalog of all our 1964 1/2-73 Mustang Parts and Accessories. You can also request a catalog or check out the PDF version here. 1965 Mustang Fuel Pump Filter Canister. Correct white with red FoMoCo Logo silkscreen just like the original. Very nice part! We have been waiting on this part for a long time! 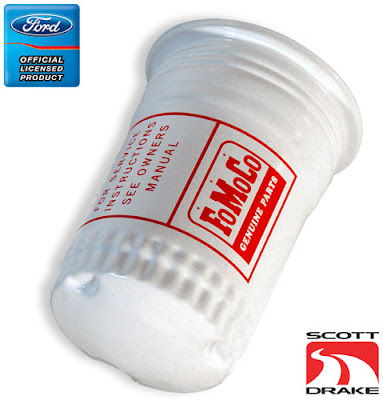 We now have (due in around the first part of November 2011) the 1965 Mustang Fuel Pump Filter Canister. This fuel filter canister is made just like the original and screws on the '65 style fuel pump. It is white with the correct ribbing and indentations on the bottom. It also features the the correct "FoMoCo Genuine Parts" logo along with the wording "For Service Instructions See Owners Manual." This information is silkscreened on the canister in red, just like the original. It is not a decal! The little stars are even screened like the original above the FoMoCo logo. There was a reproduction of this part available many years ago, and it has not been available for a long time. This new one is even nicer with all of the correct details mentioned above. The first run is limited, so order now! Our part number is ER334. We are really excited to have this part available! 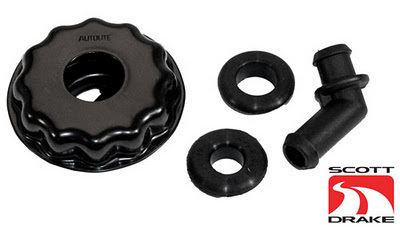 70-73 Mustang Black Autolite Oil Cap with grommets and elbow. The 1970-73 Mustang Twist Oil Cap is now available. A beautiful reproduction of a hard to find part, is now made by Scott Drake and includes the engraved Autolite logo on the face of the cap. 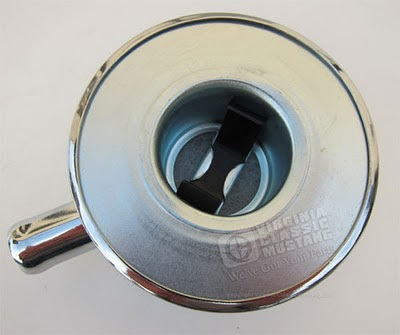 This 1970-73 Mustang Oil Cap is available in Black and Chrome and includes 2 grommets and the PCV elbow for multiple applications. 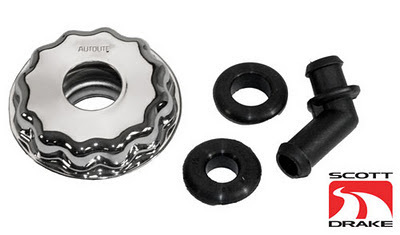 70-73 Mustang Chrome Autolite Oil Cap with grommets and elbow. 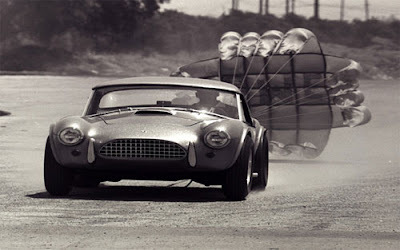 The 2nd Annual Northeast Regional Shelby American Automobile Club Meet was just held this past weekend. Just like the first one, it was a great event. Dan and his team do a great job putting this event together. It is already being planned for next year. We encourage you to attend if you are able. The event starts with a nice Friday evening social. Saturday is the road tour, but things don't get started until a great breakfast buffet at the Sheraton Hotel. The tour stop included a visit to drag racer and former Dragon Snake driver/owner , Bruce Larson's barn houses a great collection of drag racing memorabilia and cars. The Road Tour concludes at Bill Collins' shop with a super lunch provided by Bill. Saturday night is the banquet and program at the Sheraton. The Sunday car show is held at the AACA Museum in Hershey. Enjoy the pictures. By the way, if you click on a picture, you can now view them full screen and browse each one! There was just a lot of cool memorabilia and cars to check out at Bruce Larson's Barn. Bruce Larson's '32 Five Window Coupe is just really cool. Here is a look from the passenger's seat of a '65 GT350. Making a brief stop. The local folks just visiting the little store got quite a thrill when they arrived! Back on the road in the '65 GT350 Shelby. Just a few of the cars at Bill Collins' Shop. Bill Collins provided a great lunch. Another shot outside of Bill's shop. Inside the shop, Bill had several cars displayed. Dan Reiter addresses everyone at the Saturday evening banquet. Dan did a great job putting this even together. Bruce Larson shares a few stories. A nice row of 1966 GT350 Shelbys at the Sunday Car Show at the AACA Museum. 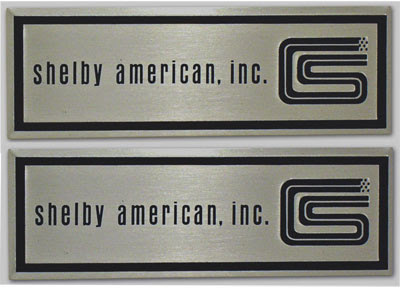 1966 GT350 Shelby Mustang Step Plate Labels - Back in Stock! We have been out of these items for a while, but we now have them back in stock. 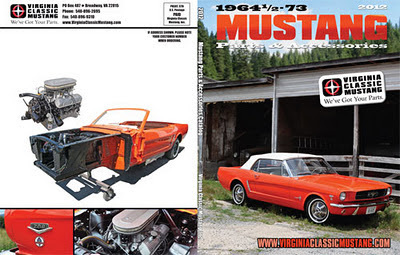 2012 Virginia Classic Mustang Catalog. Our new 2012 edition Catalog is currently being printed. 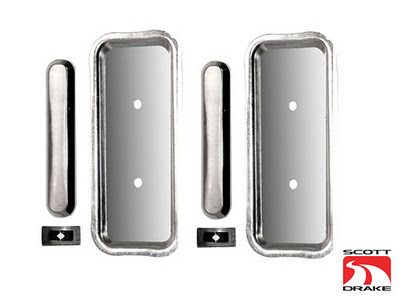 We have added a ton of new parts and accessories for your 1964 1/2-73 Mustang. We should have catalogs in house by the end of October. If you are on our mailing list, you will be receiving your copy in the mail during the first two weeks of November. If you need to request a catalog, please click here. Mustang Embroidered Canvas Tote Bag. Great for carrying tools, cleaning supplies , and other items. This new, oval shaped canvas bag is manufactured from durable, heavyweight canvas. 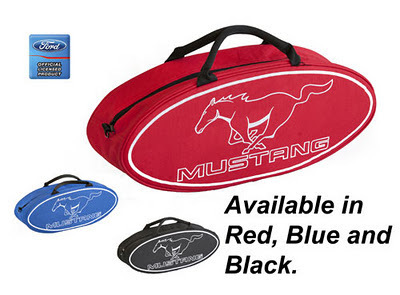 It features an embroidered Mustang Name and Running Horse Logo. It also has a zippered top, elastic inside pockets and a shoulder strap. Perfect for carrying tools, detail supplies or anything!! These bags make great gifts. Get started early with your Christmas shopping! 25 inches long x 10 inches high x 6 inches wide. Available in Black, Red, and Blue. Order our Part Number ST-2121. Stainless Steel Tri-Y Headers for your Mustang! 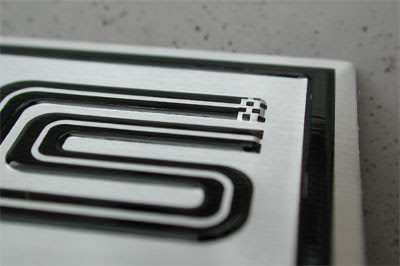 Stainless Steel Tri-Y Headers are now available. Our part number is EH-3519. 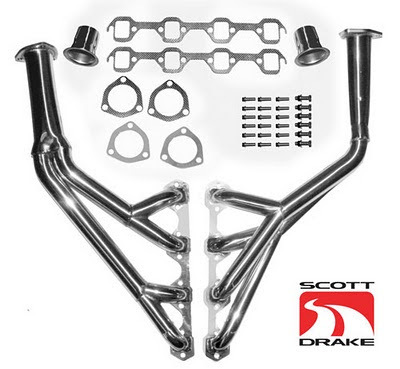 New from Scott Drake are our 304 Stainless Steel, Tri-Y Headers. All tubes are CNC mandrel bent, then carefully placed in our precision-engineered welding jig for a perfect assembly and fit. They have been successfully tested on multiple applications and we have found them superior in quality to previous suppliers. These fit 1965-68 automatic & manual transmission Mustangs with equipped with 260, 289, or 302 engines. Extra clearance has been provided for various starters and there is no interference with the shock towers. Other features include mounting flange bolts that can also be easily accessed. In addition, these headers provides full articulation of steering assembly w/out interference. *Note: Power Steering cars do require our EH-37 drop down bracket. Over forty years of Mustang modifications have resulted in endless configurations and drivetrain combinations, but we believe this product offers the best overall fit available. Unique features included are extra thick 3/8 inch flanges to prevent warping, metal-composite flange gaskets, 1.5 inch primaries, 1.75 inch secondarys and 2.5 inch Collectors. Reducer cones with gaskets (which taper to 2 inch) and all necessary mounting hardware are provided. Order our part number EH-3519. This is a metal sign showing the Dragon Snake Racing Cobra. Our part number is AC-461. 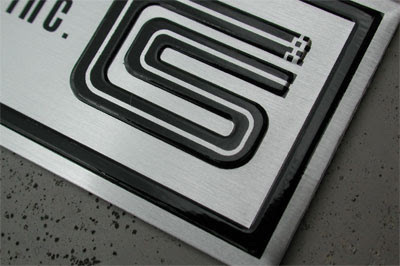 We just got quite a few new Shelby and Cobra related metal signs in stock. 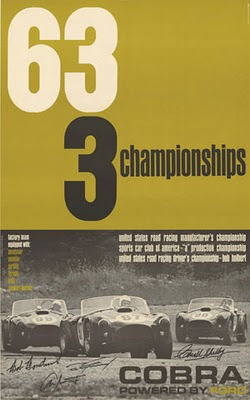 Most are from the Carroll Shelby Archives and are 11" x 17". They are made of 24 Gauge Metal with holes on the corner for easy mounting. The metal is powder coated, and the image is embedded with vibrant color. They are really nice! Click on the part number link in any of the captions or the picture itself to go to our web site and order. 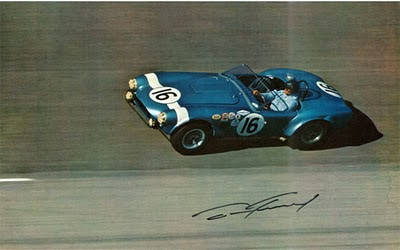 How about Dan Gurney in a Racing 289 Cobra? I have personally had a framed print of this for over 20 years. This makes a cool metal sign. Order part number AC-467. 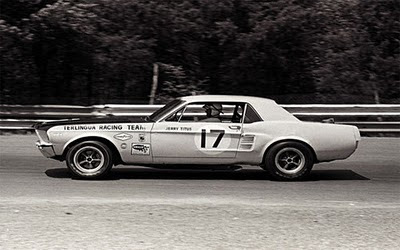 Here is Jerry Titus in the Terlingua Racing Team 1967 Mustang. Order part number AC-462. This originally was a very cool Cobra poster-now printed on a metal sign. Part number is AC-463. 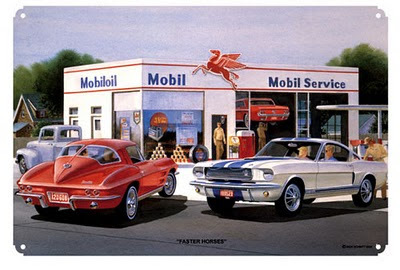 This is a metal sign of the painting by Jack Schmitt featuring a 1963 Corvette and an early production 1966 GT350 Shelby. This is another print that I have had for a very long time. Part number is AC-464. This metal sign measures 11 inches x 15 inches. 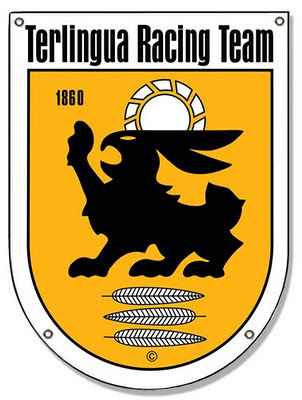 The Terlingua Racing Team logo is just really cool. The part number is AC-465. 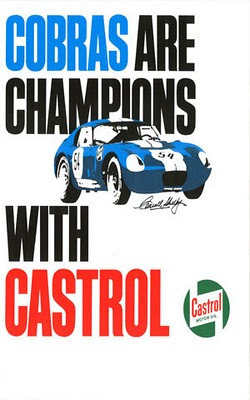 This metal sign features a Cobra Daytona Coupe from the original Castrol ad - Cobras are Champions. Part number is AC-466. 65-66 GT350 Shelby Chrome Oil Cap - Back in Stock! We now have the EG-3951 Chrome Oil Caps back in stock! These oil caps are correct for the 65-66 GT350 Shelby Mustangs and all California delivered cars with the dress up kit or 289 HiPo Engine. 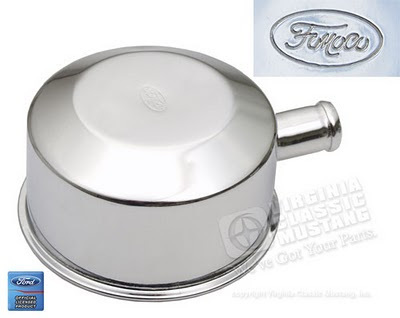 Here is the bottom view of the EG-3951 Mustang Chrome Oil Cap. We now have our Chrome Oil Cap for the 1965 and 1966 Shelbys back in stock! We have been out of these oil caps for over a year and are really glad we have them available again. These are really nice reproductions with a super looking FoMoCo Stamping.